Polaris Slingshot hood reinforcement brackets. Shown in clear anodized, also available in black anodized and red powder coat. The hood brackets that come stock with the Polaris Slingshot flex and bend making it difficult to latch and unlatch your hood. 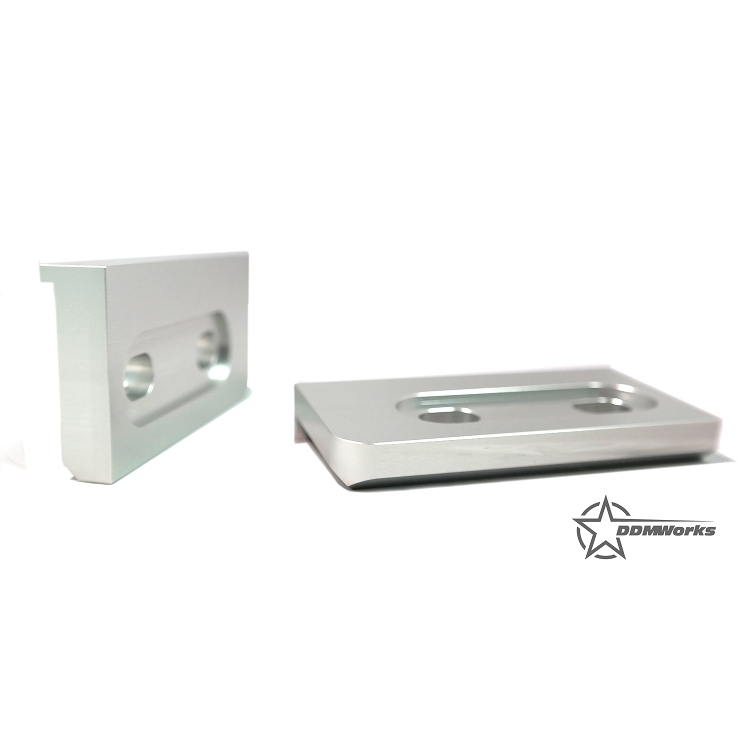 These brackets reinforce the hood latch, reducing deflection by 63%, guaranteeing a smooth hood latch every time. Removes flex from stock brackets by bracing and strengthening. 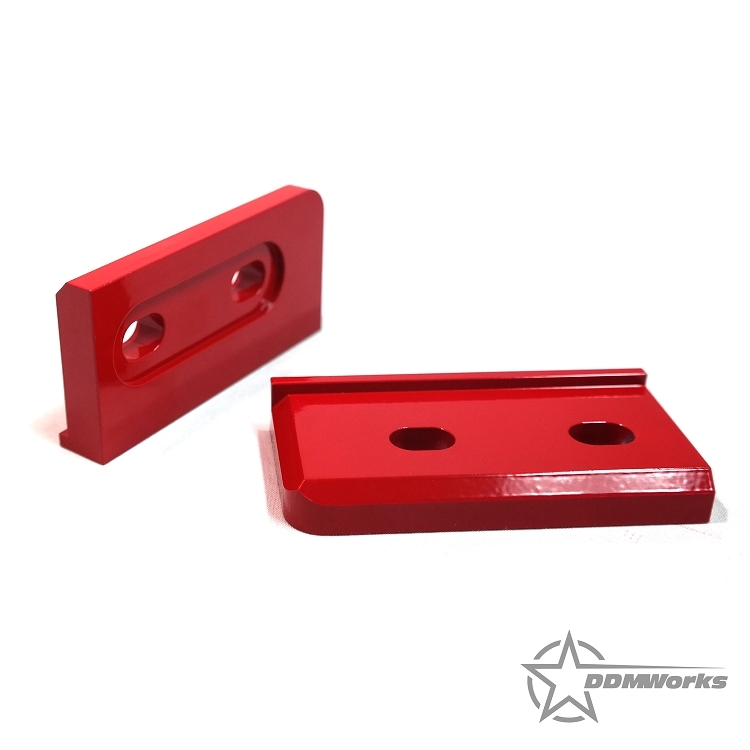 Available in Black or Clear anodized and Red powder coat. To see how our brackets stand up to stock and other aftermarket solutions we did some testing. 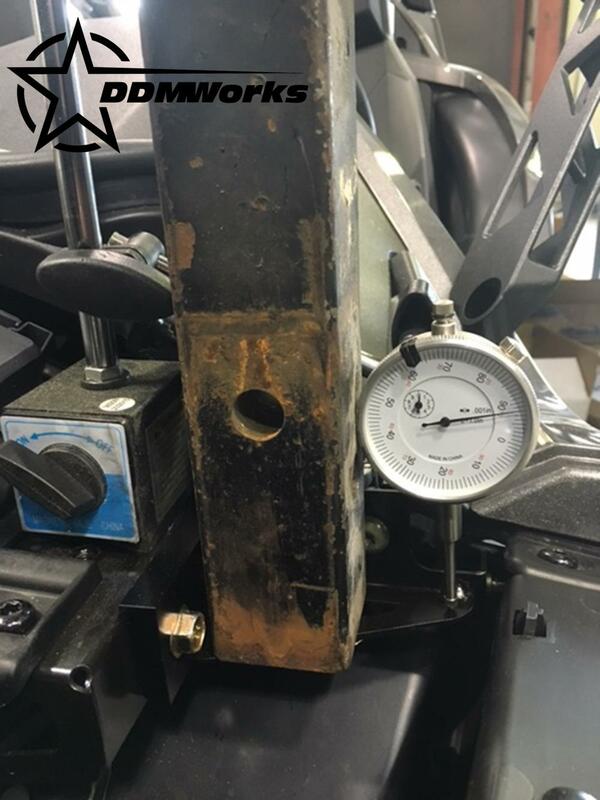 To measure the deflection of all the brackets we used an 18 pound weight with a flat bottom that we were able to put directly onto the brackets (both stock and the aftermarket) at the point were the hood latches. 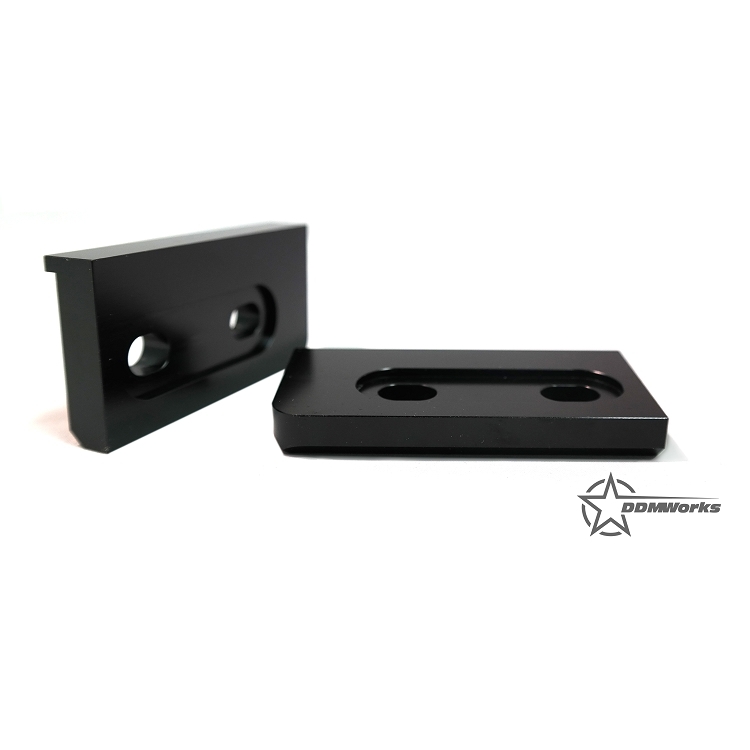 We measured the deflection on all the setups at the same location, 4" out from the mounting point of the bracket to the chassis using a micrometer mounted to a magnetic mount (see image). The stock brackets as delivered by Polaris deflect - .024"
Aftermarket replacement thicker brackets deflect - .016"
Stock brackets with DDMWorks reinforcement brackets installed deflect - .009"
Aftermarket replacement thicker brackets along with DDMWorks reinforcement brackets installed deflect - .008"
As you can see, the differences are quite remarkable. 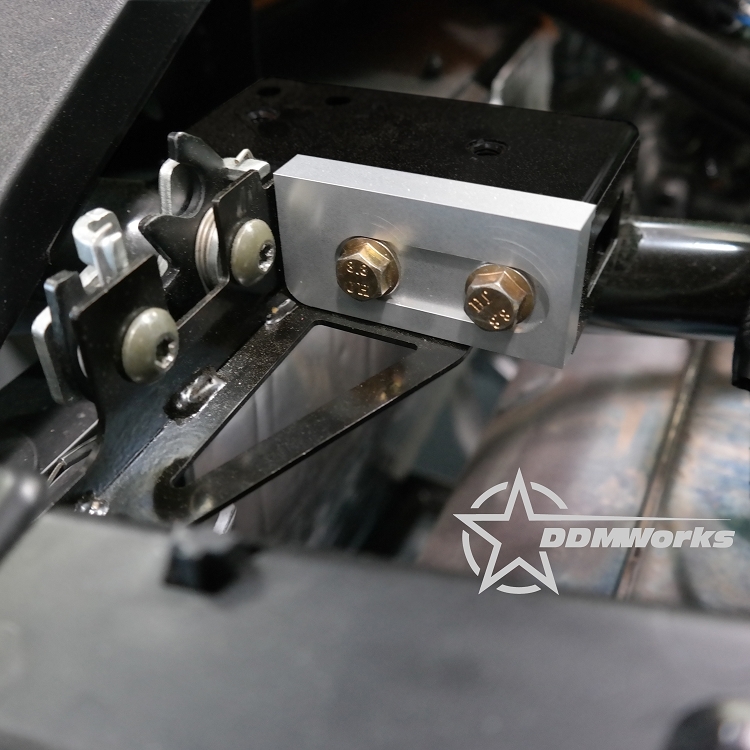 The DDMWorks Hood latch reinforcement brackets reduce deflection by 63%.